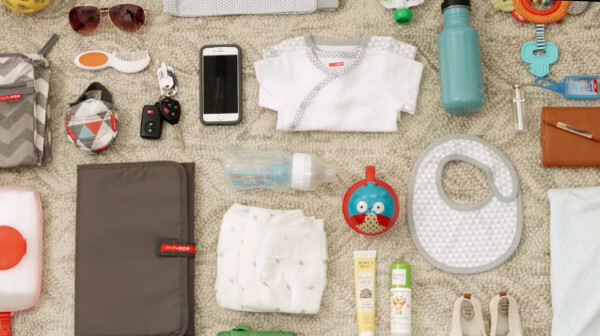 Mums-to-be, here’s a valuable nugget of advice – your nappy bag game needs to be strong. It’s your lifeline when you leave home and you should master the art of stocking it correctly – there’s nothing worse than being caught a nappy short and wipeless. This, ladies and gentlemen, is our ultimate nappy bag checklist. The first time you stock your nappy bag can seem bit daunting – what are all those little pockets for? But you’ll soon realise just how important it is to have everything in its place in a nappy bag, because you’re usually ferreting around in it looking for something with just one hand, while taming your tot with the other. Quality. 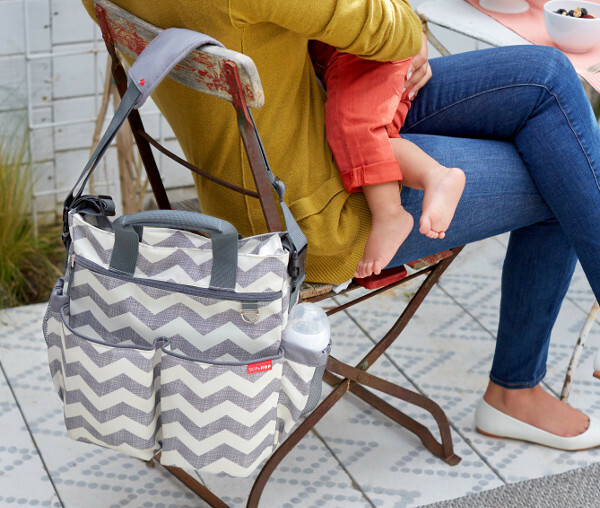 This thing is going to take quite a beating, so get a nappy bag that’s built to last. Interior that’s easy to wipe clean. Because your child will put half-eaten bananas into the bag ‘for later’. It’s a given. Lots of pockets – inside and out. It’s best to try and keep things separated, like dummies, so that you can find them in a jiffy. Different length straps, so that you can hang the nappy bag over your pram handle if needed. A style that suits you. You can go for traditional, or backpack or tote – whatever suits. Speaking of style, don’t feel like you have to forgo your personal taste because it’s a nappy bag – these totes have come a long way! Change pad. Most good quality nappy bags come with one, and they’re very handy for quick changes on the go, and in change rooms. Wet/dry bag. Again, most good quality nappy bags will have one included. They are perfect for getting soiled clothing home, or dirty nappies, if you’re not keen to use disposable bags. Muslin wrap. These have a multitude of uses, and you will no doubt put them all into practice at some stage! Happy travels, mummas! 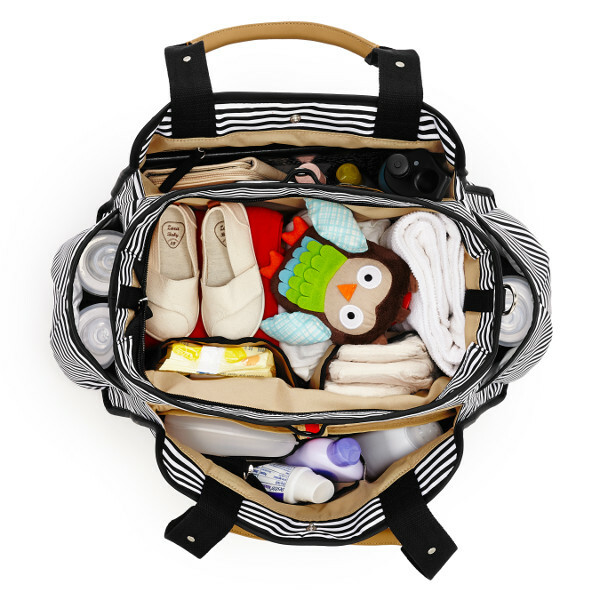 You can find Skip Hop nappy bags locally at David Jones, Baby Bunting and Baby Kingdom.